Marisol hoped divorce was the key to a new life—one away from her crazy ex-husband. Instead she’s working two jobs and struggling to make ends meet as her problems escalate. Terrified and desperate for help—any help—she turns to a stranger, a man her brother swore could help with just about any problem. The answer to her problems is tall, dark, deadly and everything she’d once thought she wanted in a man. But to him she’s a job. Nothing more. 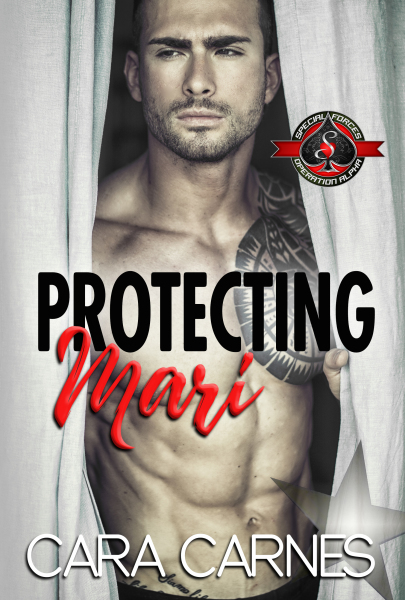 When Ethan founded Counterstrike he expected a challenge but nothing could have prepared him for Marisol. She’s smart, courageous, compassionate, headstrong, and everything he’s ever wanted. But her troubles come with a price tag he didn’t expect when he must face his own personal demons to keep her safe. They’ll both soon discover the hardest battle is the one for their hearts.